Since 2014, it has been possible for people to get married or be civilly joined in both the Pelago Town Hall and in other places around the town. By Council Deliberation n. 93 (4th December 2014), the Town Council has decided to extend this possibility to other locations, allowing the facilities which have previously asked, the possibility of having weddings or civil unions celebrated in their facilities. 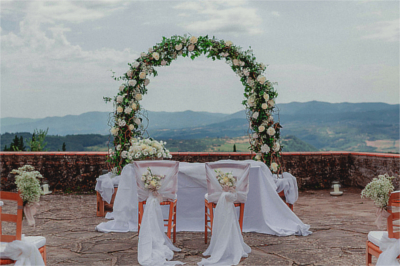 A couple who intends to get married or be civilly joined in one of these locations, has to contact the structure to make all the arrangements. A unique place where peace of mind, well-being, innovation and tradition merge. 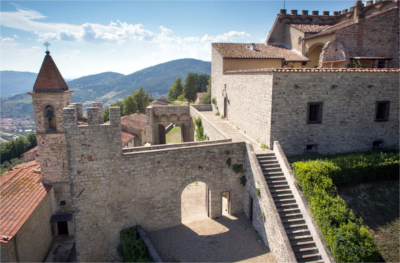 You will be welcomed inside the luxuriant countryside of the most secret Chianti, among vineyards, woods and centuries-old olive groves. 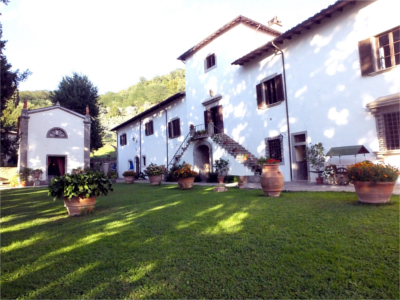 An elegant agritourism imbedded in the sweet hills surrounding Florence, in Tuscany, in the Chianti countryside, among olive groves and woods bordering the National Park of the Casentino forests. 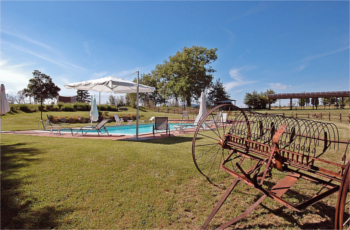 Set on a hill with a panoramic view, it is placed in a perfect position and it is ideal for those who want to live a weekend surrounded by nature and relaxation, or a pleasant week holiday. The still existing “casa torre” has Medieval origins and was owned by important families and monastic orders, as well as a gift for the Crusades Knights back from the wars in the Holy Land. Situated on a hill with a panoramic view, it is placed in a perfect position and it is ideal for those who want to live a weekend surrounded by nature and relaxation, or a nice week’s holiday . 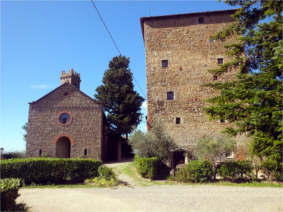 Situated on the hillside of the heart of the prestigious Chianti Rufina wine, it has been looking onto the river Arno since the year 1000 A.D.. The great peace surrounding Torremozza makes it perfect for those who love nature and strolls, as well as for all those who are interested in Medieval and Renaissance History, or are looking for the right place to organize courses for the body and for the mind..